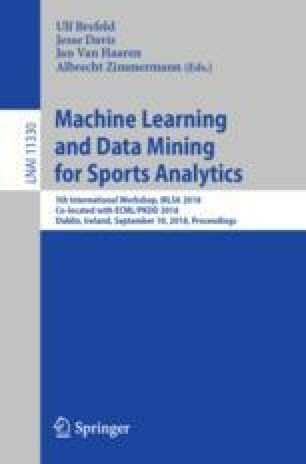 In this study we compare result-based Elo ratings and goal-based ODM (Offense Defense Model) ratings as covariates in an ordered logit regression and bivariate Poisson model to generate predictions for the outcome of the 2018 FIFA World Cup. To this end, we first estimate probabilities of match results between all competing nations. With an evaluation on the four previous World Cups between 2002 and 2014, we show that an ordered logit model with Elo ratings as a single covariate achieves the best performance. Secondly, via Monte Carlo simulations we compute each team’s probability of advancing past a given stage of the tournament. Additionally, we apply our models on the Open International Soccer Database and show that our approach leads to good predictions for domestic league football matches as well. PR is supported by Interreg V A project NANO4Sports. JD is partially supported by KU Leuven Research Fund (C14/17/070 and C22/15/015), FWO-Vlaanderen (SBO-150033) and Interreg V A project NANO4Sports.